Tigers are generally introvert creatures, except for getting comfy with the young ones. They have a penchant to hunt by themselves. Moreover, many of the tigers have endured to a great extent because of souls for their grandiose charm and exquisiteness. If they get completely wiped out, the entire ecological system will fall apart. It is the largest part of the cat genres in the globe. At a time, there were nine varieties of tiger such as Indochinese tiger, the Bengal tiger, the Siberian tiger, the Malayan tiger, the Balinese tiger, the south china tiger, the Javan tiger and the Persian tiger. Tigers like Balinese, Caspian and Javan got disappeared during 1940-1970 while the others are expected to being vanished over the coming years if some strict actions won’t be taken against the poachers. Some about 1600 tigers exist in the reserves today. And now they are in the list of endangered species. Let’s have a look at the reasons of their disappearance. While the population of humans is increasing rapidly, a few of the essential things such as agriculture, oil letting them enter in the abodes of tigers. And without a hale and hearty environment, surviving is becoming difficult for them. Trees are being chopped down which ultimately results in deforestation. Losing the lush green home of tigers signifies making them homeless and die out due to a lack of food sources. It is probably the utmost threat to the wildlife. Why people are making the beautiful gift of god, which is tiger as their aim? Although it is illicit to slaughter a tiger, poachers are still killing them for their bones, furs and body parts. The organs of tigers are deemed to have medicinal properties, which have recovered many patients who suffered with cancer. Each part of tiger is being sold at high price which makes the voracious hunters risking their lives for just few bucks. 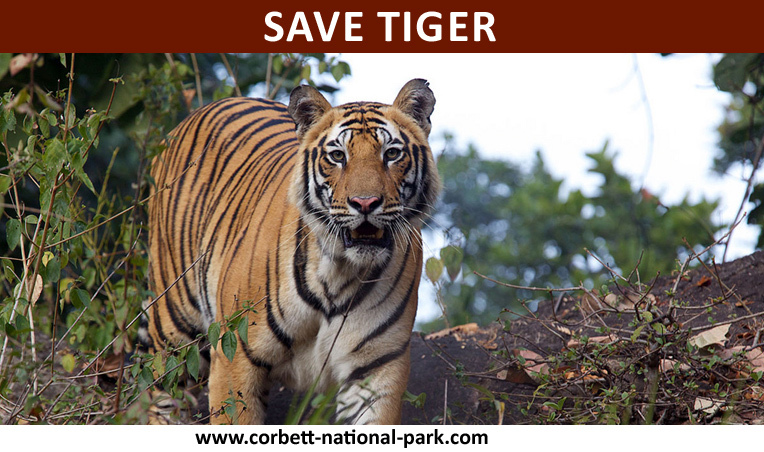 There are many natural treatments that one can undergo to cure his/her disease without killing a live tiger. – One should stop purchasing stuff like furs, medicines made from threatened or endangered species. – Encourage neighbors to help the wildlife conservation organizations in saving the tigers who are on the verge of extinction. So, it is important to do all doable to save the tigers from getting completely disappeared.